Dad’s Philosophy: To always extend more money, treat people like you’d want to be treated and to always…BE NICE. Nobody, Nobody, Nobody. I mean Nobody pays more! 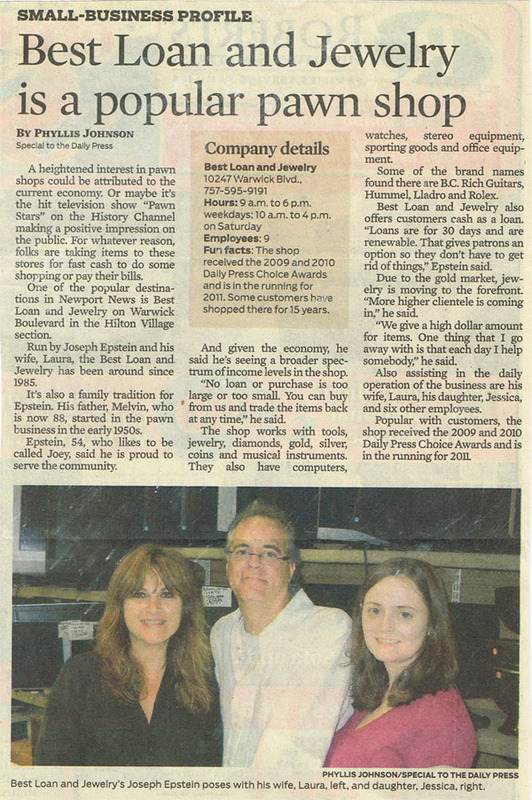 Best Loan and Jewelry is a third generation family business founded in 1985 with its history dating back to 1965. 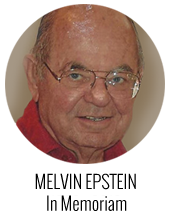 Co- founded by father and son, Melvin and Joseph Epstein, with over 80 years of combined pawn broking experience. Melvin, inspired by his brothers, had a vision to open a location near the main gate of the Newport News Shipyard and Dry Dock Company to fill the needs of local shipyard employees. Joseph, after receiving degrees at the College of William and Mary and the University of Maryland, decided to redirect his efforts. He chose to join his father in becoming an entrepreneur, thus establishing Best Loan and Jewelry with his father’s philosophy to extend larger amounts to customers in both loans and purchases. 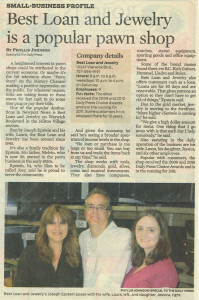 Joseph “Joey” and wife Laura, along with daughter Jessica, also work in the store. On occasion, their two daughters, Zoe who is 9 and Lainey, 10, also get into the act appearing on local newspaper ads. Laura, who herself has 12 years of experience, is a favorite for her genuine desire to help our customers. Presently located in Historic Hilton Village in Newport News, we continue to serve the local community and surrounding areas with our long held business practice of fairness and integrity. We have a staff that specializes in specific areas of our business. You’re not just a transaction….we care about our customers! We give you a fair and honest value for your item. Not a ‘scrap’ price. People find it worth the drive to come see from as far North as Richmond, VA and South to North Carolina to receive the business experience we extend.